By train to Haridwar. Day at leisure to explore this holy town. Visit the 'Aarti' (holy ceremony) performance at the river 'Ghat' at sunset. Overnight in Hotel. A gradual uphill trek through beautiful landscape of thick forests and steep cliffs brings you to the mysterious Dodital Lake (3307 m) - surrounded by dense forests, it is an ideal place for the nature lover. Overnight in Fo rest Rest House / Tents. 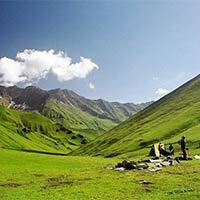 Begin the trek ascending the Darwa Dhar Ridge ( 4115 m ) - the watershed of the Ganga and Yamuna River valleys. Overnight in Tents. Hanuman Chatti Continue to Hanuman Chatti ( 2400m ) located on the bamks of river Yamuna. Overnight in Forest Rest House. 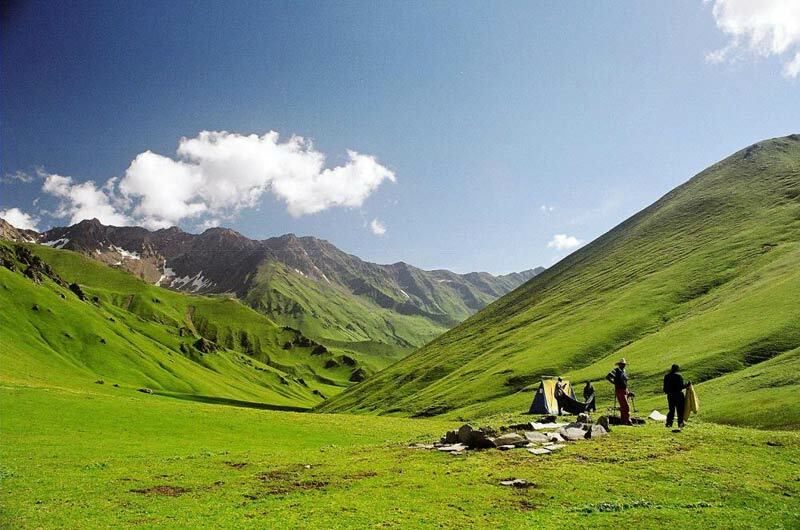 Trek to the source of the river Yamuna; it is a gradual climb upto Yamnotri ( 3185m ). ( 10 Kms; 4-6 hrs of walking). Trek down to the road-head and proceed by Jeep to the hill station Mussoorie- overlooking the Doon valley. En-route visit Lakhamandal- a site associated with the heroes of the epic 'Mahabharata'. There is an ancient temple and cave formations which are of interest. Farewell dinner. Overnight in Hotel at Mussoorie. ( 10 Kms trek from Yamnotri to road-head; 3-4 hrs walking ). Day at leisure to explore the town. After lunch, proceed to DehraDun to board the 1700 hrs Train to Delhi. 2230 hrs arrival at Delhi. On arrival met at the station and transfer to the hotel. O/N stay at Hotel.